According to the Centers for Disease Control and Prevention (CDC), more than 100 million Americans are living with diabetes (30.3 million) or prediabetes (84.1 million), with the cost of diagnosis and care escalating to $327 billion per year. Globally, the numbers are equally staggering. The number of people with diabetes has risen from 108 million in 1980 to 422 million in 2014. This global health crisis fuels a dedicated mass of endocrinologists, diabetes scientists and investigators throughout the U.S. and the world to find novel pathways to prevent, treat and cure Type 1 and Type 2 diabetes and their complications. The Researcher Spotlight: Innovations and Advancements series highlights promising and innovative diabetes research and spotlights those leading the charge. 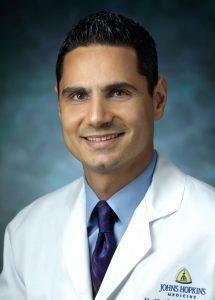 For this installment, Practical Diabetology interviewed Nestoras Mathioudakis, MD, MHS, assistant professor of medicine and clinical director of the Division of Endocrinology, Diabetes & Metabolism at Johns Hopkins University School of Medicine. Dr. Mathioudakis serves as the principal investigator of The Nestoras Mathioudakis Lab, which focuses is on improving patient safety and quality for hospitalized diabetes patients. Dr. Mathioudakis’ research also centers on two populations with diabetes at high risk of adverse outcomes: hospitalized patients and patients with diabetic foot ulcers. Outside the lab and Beyond the research, Mathioudakis discusses his interest in travel, love of family and playing the violin. PD: Please describe your research focus. Mathioudakis: My primary research goal is to improve the safety and quality of care for hospitalized patients with diabetes. Specifically, I am interested in reducing rates of hypoglycemia from insulin treatment through the use of real-time informatics alerts. PD: Why is it important to pursue research in this area, and what are your key research initiatives? Mathioudakis: My population of interest is hospitalized patients with diabetes/hyperglycemia who are treated with insulin. Approximately 20-40 percent of hospitalized patients have diabetes or high blood glucose, and insulin is the recommended therapy for the majority of these patients. While highly effective at controlling blood glucose, insulin also happens to be one of the highest-risk medications used in the hospital, accounting for a substantial number of adverse drug events related to hypoglycemia. Description of methodology. We are using “big data” and machine learning methods to develop a prediction model for insulin-associated hypoglycemia in hospitalized patients. Then, we will be doing a qualitative research study to engage key stakeholders (clinicians, nurses, pharmacists) in developing a real-time informatics alert that will be most likely to modify health care provider behavior in preventing this serious adverse outcome. Finally, we will implement the alert in several hospitals within our health system and evaluate its effectiveness in reducing rates of hypoglycemia over a 12-month period, using the other hospitals as control groups. Conclusion. We have developed and published a prediction model using our hospital’s previous electronic medical record. We are refining this model using our data from our current electronic medical record system (Epic), and we anticipate that its predictive accuracy will be substantially higher than our previous model. We plan on using this prediction model in real time to communicate with providers about patients at risk of hypoglycemia from insulin via the electronic medical record. While continuous glucose monitors have been used widely in the outpatient diabetes area to predict and prevent hypoglycemia, this project is innovative in that it uses fingerstick blood glucose data to predict hypoglycemia risk in hospitalized patients. Development and validation of a prediction model for insulin-associated hypoglycemia in non-critically ill, hospitalized adults. 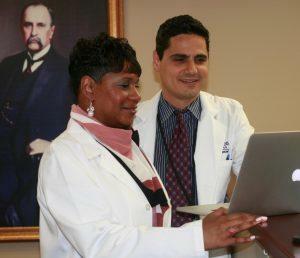 Dr. Golden (L) and Dr. Mathioudakis (R) reviewing data related to inpatient glucose management. PD: Mentoring is critical to the growth and independence of a researcher. Who has served as a mentor and inspired your research? 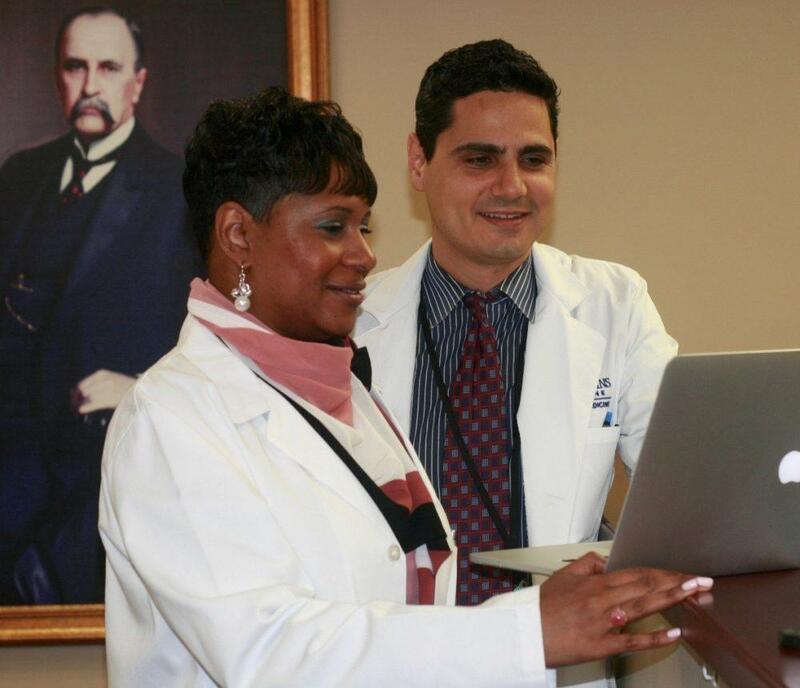 Mathioudakis: Dr. Sherita Hill Golden has been my primary research mentor since I joined faculty at Johns Hopkins in July 2012. She is a highly accomplished researcher and leader in medicine. She is a professor of medicine and currently the executive vice chair of the Department of Medicine at the Johns Hopkins University School of Medicine. Dr. Golden is on the board of directors of the American Diabetes Association for 2018. PD: What are your 2019 research goals? What is in the pipeline? Mathioudakis: My main goal for this year is to determine what informatics formats would be most useful and effective for practicing hospital-based clinicians to help recognize patients at risk of developing hypoglycemia. Some examples we are considering to include: best practice alerts, text messages, automated clinical decision support (insulin dosing recommendations), and an insulin/glucose summary report in the electronic medical record. Using big data (millions of blood glucose results) from five hospitals in our health system, we are finalizing a prediction model for insulin-associated hypoglycemia that would accurately identify patients at very high risk of low blood glucose in the next 24 hours. The more accurate the model is, the less “alert fatigue” a real-time informatics alert would be expected to cause, making it more likely to modify clinician behavior and reduce rates of hypoglycemia. Using key stakeholder input from hospital-based physicians, nurses and pharmacists, we will develop and implement a real-time informatics alert in our hospitals in our hospital’s EMR and evaluate its impact on reducing rates of insulin-related hypoglycemia over a 12-month period. We also developed a subcutaneous insulin decision support tool to help providers determine a safe and effective insulin regimen in the hospital. We are currently evaluating whether use of this tool was associated with better blood glucose control and lower rates of hypoglycemia in hospitalized patients. PD: Have you received any grant awards relative to your research? Mathioudakis: Yes, NIH- NIDDK K23 Grant: Implementation and Evaluation of a Real-Time Informatics Alert to Prevent Insulin-Associated Hypoglycemia in the Hospital. PD: What activities do you enjoy outside your research? Dr. Mathioudakis performing at his daughter’s christening reception in Baltimore, Maryland, 2012. Mathioudakis: I enjoy spending time with my family, playing violin (in a Greek folk band), tennis and travel. I have been playing violin since age 9. At one point, I had considered a career as a professional violinist and was fortunate to receive training at the Peabody Conservatory while I was an undergraduate student at Johns Hopkins. My father plays the bouzouki, which is a Greek instrument similar to the mandolin, and he exposed me to Greek music from an early age. 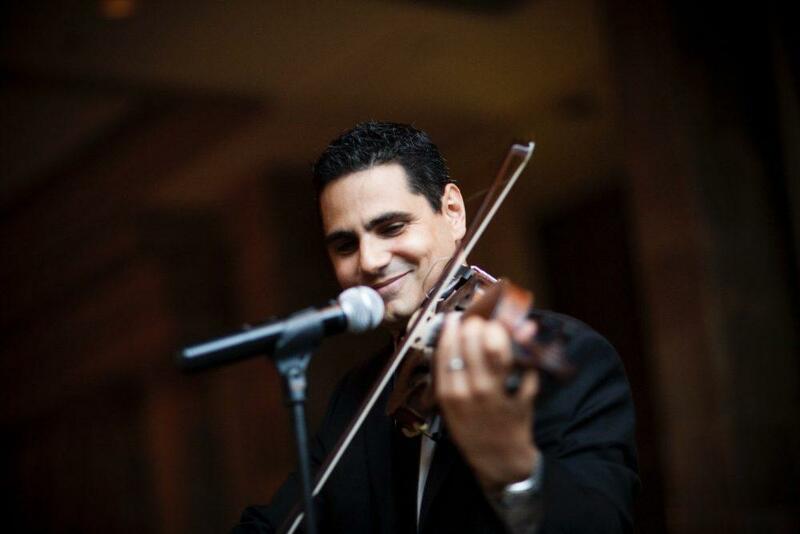 I enjoy playing at Greek festivals, weddings and other celebrations. PD: What diabetes technologies are you watching in 2019? Mathioudakis: Closed-loop insulin pump technology (i.e. insulin pump with continuous glucose monitors) has revolutionized care for insulin-requiring patients by automatically adjusting insulin doses based on blood glucose patterns. I am interested in the parallel and emerging technology for multiple daily insulin injections, which are used by a larger number of insulin-requiring patients. Bigfoot Biomedical is developing a Bluetooth insulin pen that will connect with the FreeStyle Libre continuous glucose monitor, which will automatically adjust both long and rapid-acting insulin doses. Insulin therapy can be overwhelming for patients who may not feel comfortable adjusting their doses between visits with their health care team. This type of support will help empower patients to safely and effectively adjust insulin doses. It will also help clinicians know whether high blood glucose readings may be due to patients forgetting or omitting insulin doses or too low of a prescribed insulin dose. 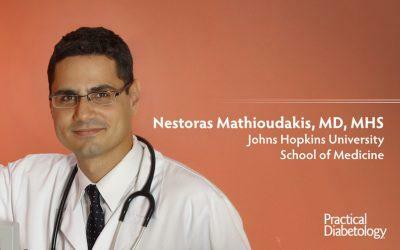 Learn more about Dr. Mathioudakis and the Nestoras Mathioudakis Lab here. To nominate a diabetes researcher, email [email protected] and include the researcher’s name, link to an institutional profile, and a brief overview of his/her scientific achievements.